Perhaps I am a bit of a traditionalist but I don't like UPVC doors, but the manufactures have done such a great job of selling them that we don't really have much choice anymore, I think they are OK for domestic properties, but I have yet to see a Plastic Door on a commercial property last. 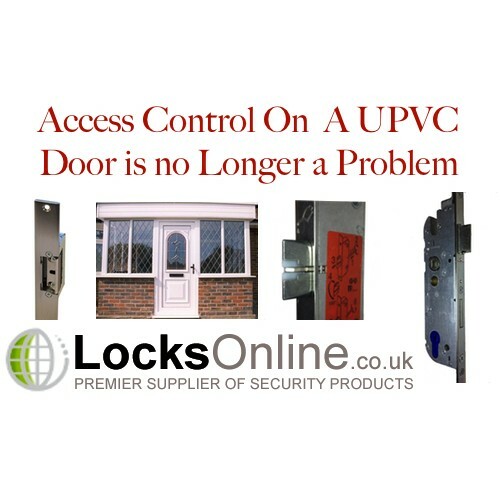 Nevertheless, they are here and they are being used, and there are more and more applications that UPVC doors have been fitted and now require access control fitted to them. Whether, it be for an electric key pad, or proximity control, locking and unlocking the door has always been a problem. I have seen companies and indeed when I was on the tools many years ago, scratching our heads on how to control the door, we have all used electro magnetic locks. This is not ideal and you will find it hard to get a fixing straight into the plastic, some doors have metal cores that allow you to fix into the metal for a better fixing. Gruesomely, the only true way would be to bolt the armature plate or Z/L brackets straight through the door. But, hey! I think we all agree that in truth this method it a bit of a bodge to be fair, the plates, brackets, magnets all flex when under load, I have seen glass windows shatter in the doors, because all the load is in the top corner when forced. UPVC Doors are not really that strong to allow this single point of locking, that is why they have to have multipoint locking simply because they flex so much. Try it for yourself, put your foot on the leading edge and pull the top of the door towards you, you will see how much it flexes. In reality we do have a few options now open to us. 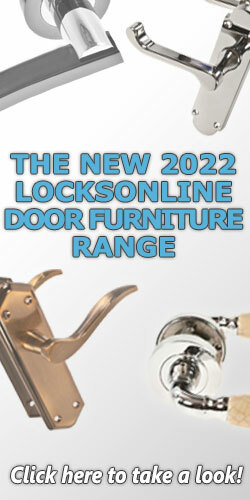 If you have a wind up lock fitted then your quids in, but lets clarify what a wind up lock is. Its easier to ask the question this way. Do you have to lift the handle up to lock the door? If yes, then you DONT have a wind-up lock. A wind-up UPVC Lock is one that when you put the key in the door, you have to rotate the key a few times to lock the door, as rotating the key throws the bolts into the frame to lock the door. Also, you may not have a handle on the outside, but more of a pad handle. If this is the case you would just pull the door too and the latch would keep the door closed. Inserting the key and turning one way, you would throw the multipoint bolts and turn it the other way you would be able to retain the latch, and here lies the secret, because what you now have is a latch morticed into the door that you can fit a strike release to. 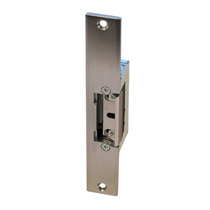 If you were to consider purchasing an universal strike plate and an adjustable strike release, you will be able to swap the centre keep for this device, now you can have access control on the latch for the door. This is by far a better concept than fitting a mag lock, it is a tidier installation. Bare in mind that this only secures the centre latch and NOT the multi-point function of the whole lock. You can however, use the key as a by pass function to the access control because by winding up the lock and engaging the bolts you are in effect by passing the electric strike. Great if you need to by pass the access control on the door, say at night times. If however, you need to have complete autonomy and complete function of the lock as part of an access control function, then in my view the best way forward would be to use the Ferco A Opener lock. I know of only two manufactures that make electrically operated multipoint locks Ferco and KFV. the KFV lock is not that readily available in the UK but the Ferco one is also a lot cheaper. KFV is quite expensive in comparison. OK lets look at installing this piece of of kit. This may look to be a bit extreme, but if you sit down and think the job through bit by bit before you start the fitting of this lock it becomes quite straightforward, you will need to alter the size of the holes in the door, you will see that fitted two third down on the lock is a black box that houses the electric worm gear that automates the locks operation, obviously a hole will need to be cut out of the door to house this, also the bolt locations would be different as well. You need to get power to the lock, you will need to find a way though the door to the hinge side to feed a cable this is normally pretty straight forward as the door would be hollow in most part. Exiting the door with the cable on the hinge side fitting a door loop will make the job look a lot better than just allowing the cable to droop down between the door and frame. These locks take a bit off juice to control and we always recommend fitting a two amp supply, the lock needs a permanent supply as well as the trigger, so you will need at least three cores from your power source to the lock, I would recommend fitting a six core alarm cable as if needed depending on the cable run you can double up the cores to boost power to the lock. This lock is pretty snazzy in its operation and works very well. The basics are as follows and there are variations available also. The lock works part mechanical and part electrical. 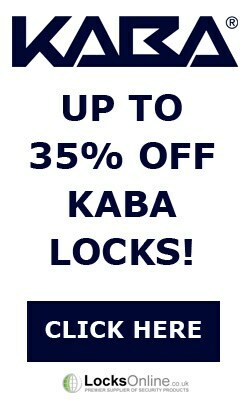 The centre latch works on the handles like that of a normal lock, however, if the lock is closed completely in the frame etc then pressing down the handle on the inside will open the center latch, and the top and bottom multipoint bolts. 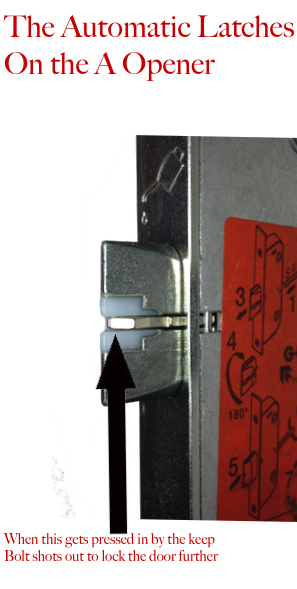 The top and bottom bolts when pulled back will stay in the latching position until the door is closed again in the frame. When the bolt hits the keep a small metal trigger shoots the bolt out further and therefore, will provide better security. You will use a pad handle on the outside so the above function will not work from outside. To get in from outside, you can use the key to pull back all the bolts and latches to open the door. 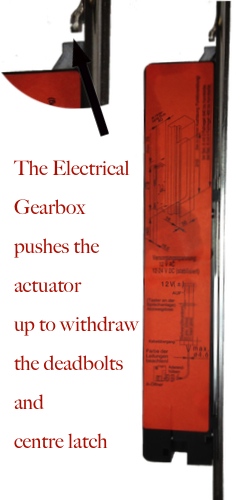 The electrical drive gear simulates the handle operation allowing the top, middle and bottom bolts to be withdrawn, like that by pressing down the handle on the inside. One additional feature this lock has that if you throw the centre bolt with the key (Only) then this in effect dead locks the whole lock and bypasses the electrical function of the lock all together. 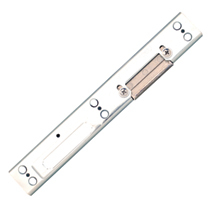 The A opener, comes in a varying range of back-sets, 35 mm, 45mm and 55 mm. 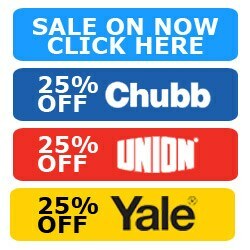 The 35 mm will do for 99% of UPVC Plastic Doors and the 45 and 55 mm versions for wooden and composite doors. The A Opener lock in my opinion is the only true and correct way of automating a UPVC Plastic door as it maintains the multipoint locking structure that plastic doors require to keep it secure in its frame. OK, using the wind up lock is more cost effective, and perhaps used as a passive access solution would be OK, but if budget is not so much of a concern then choose the A Opener every time. I very much hope that you have found the blog beneficial and informative, but we are only a phone call away should you need some more advise or information.